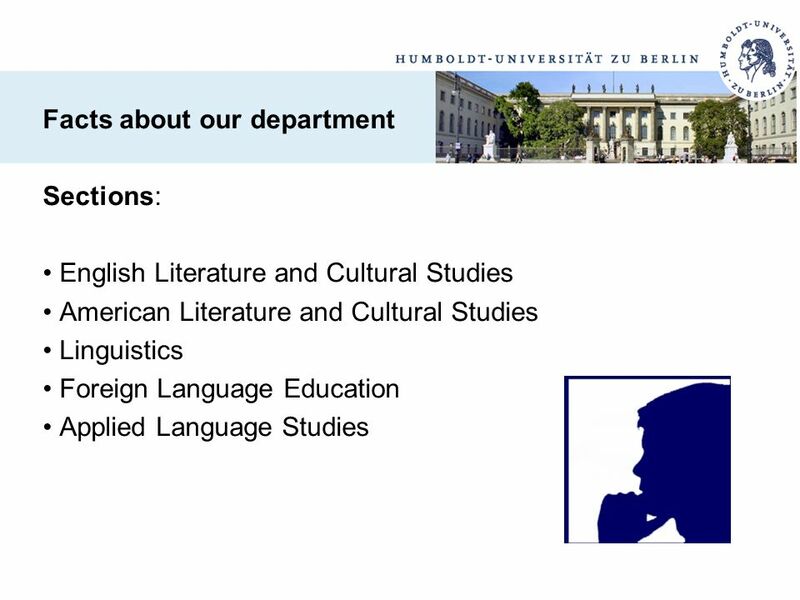 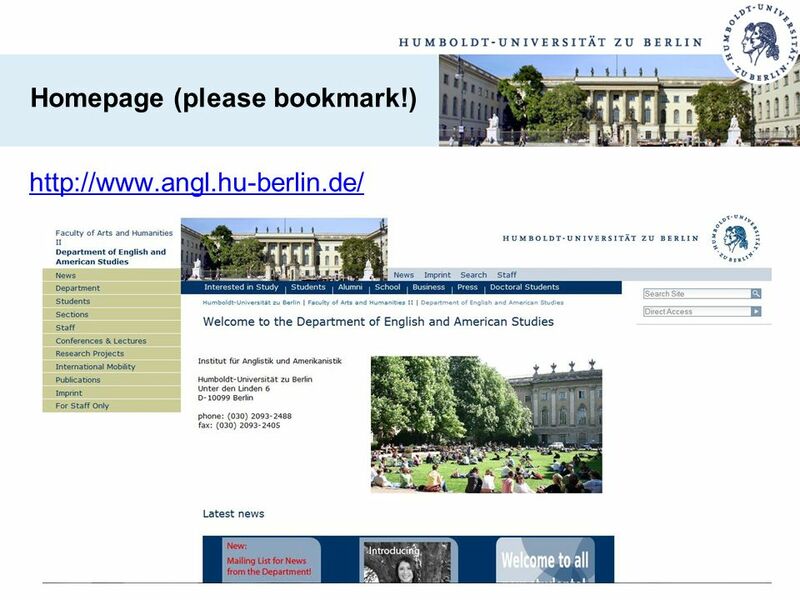 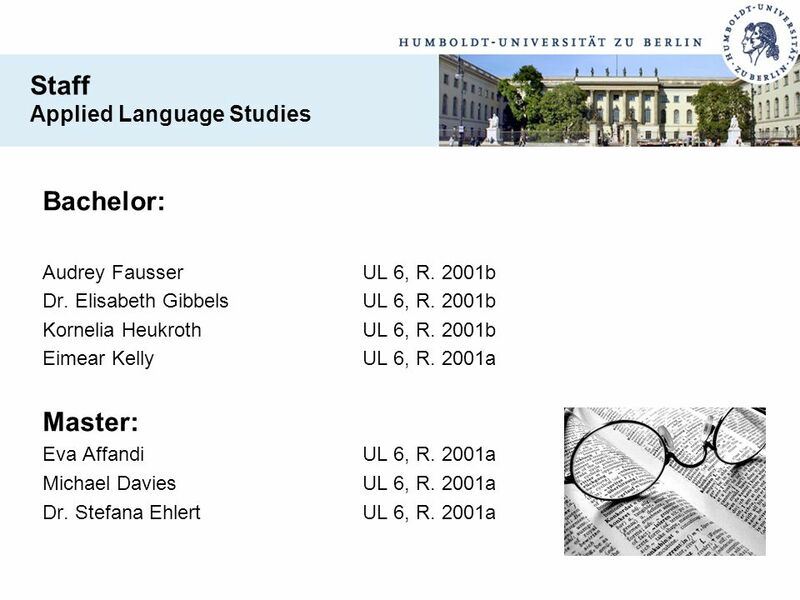 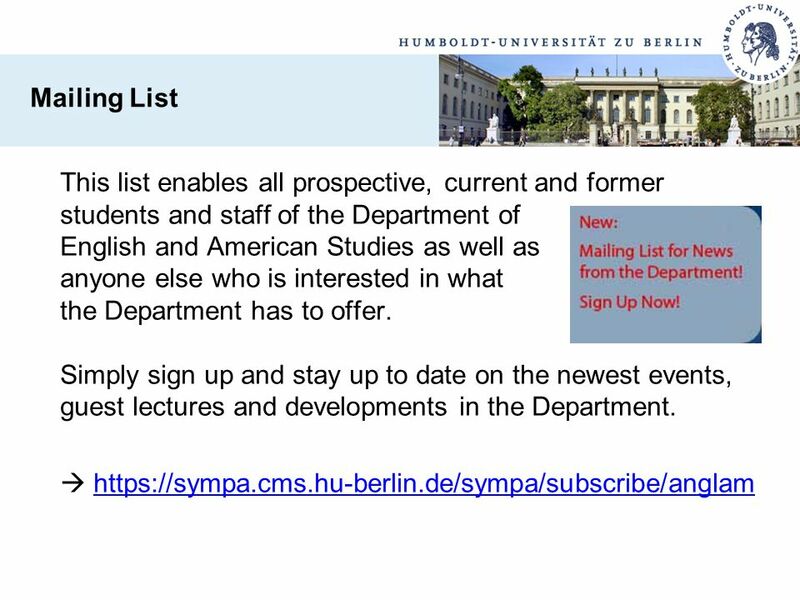 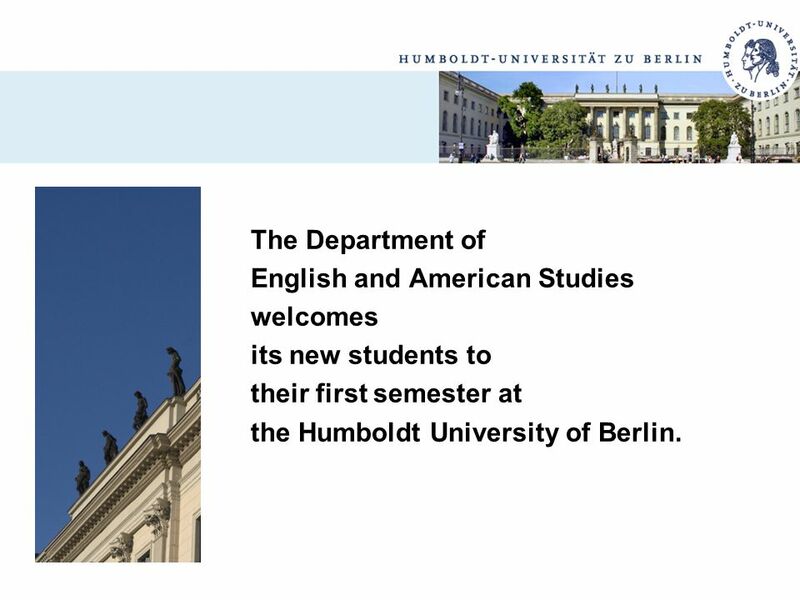 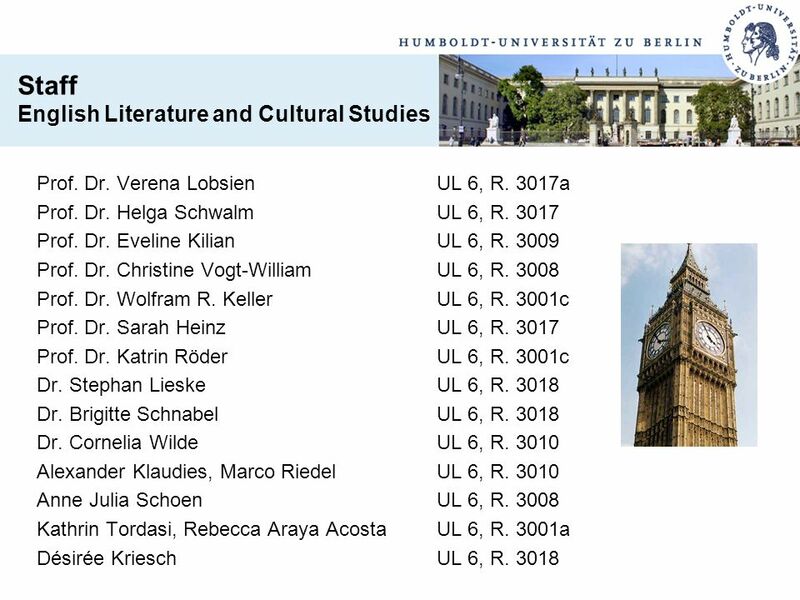 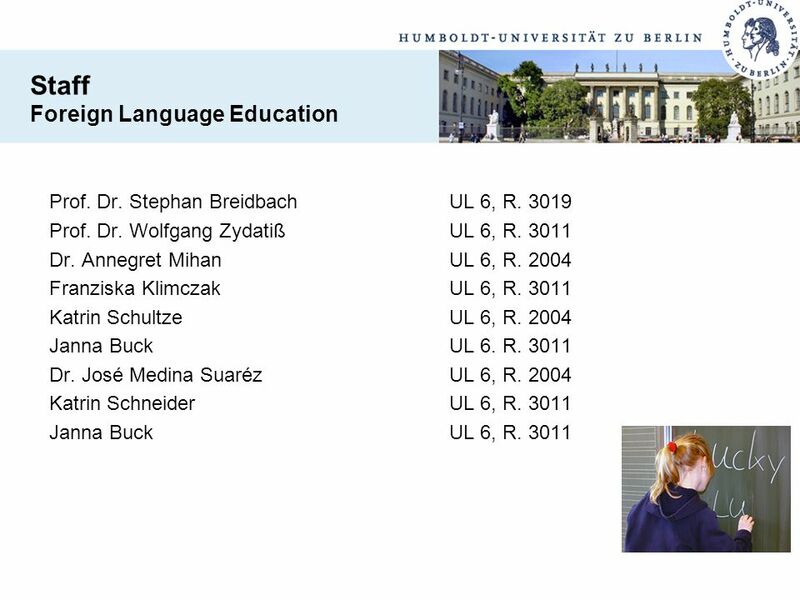 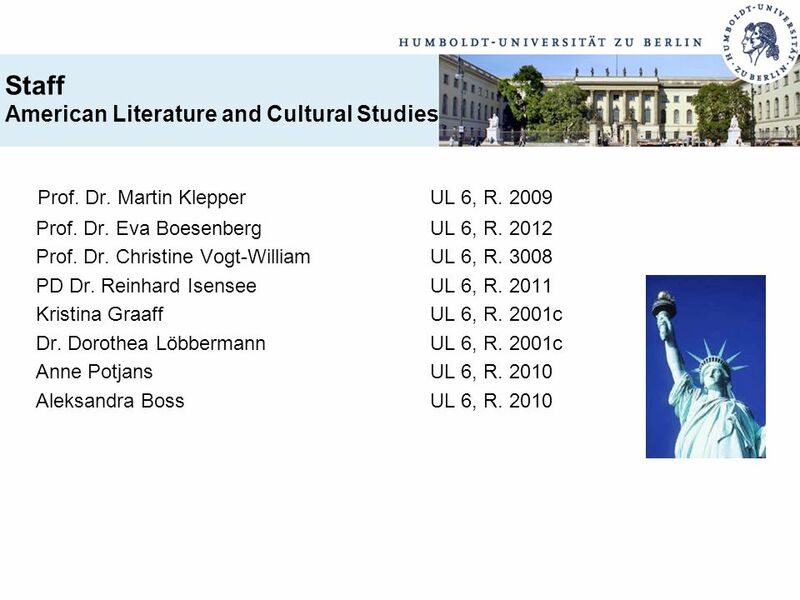 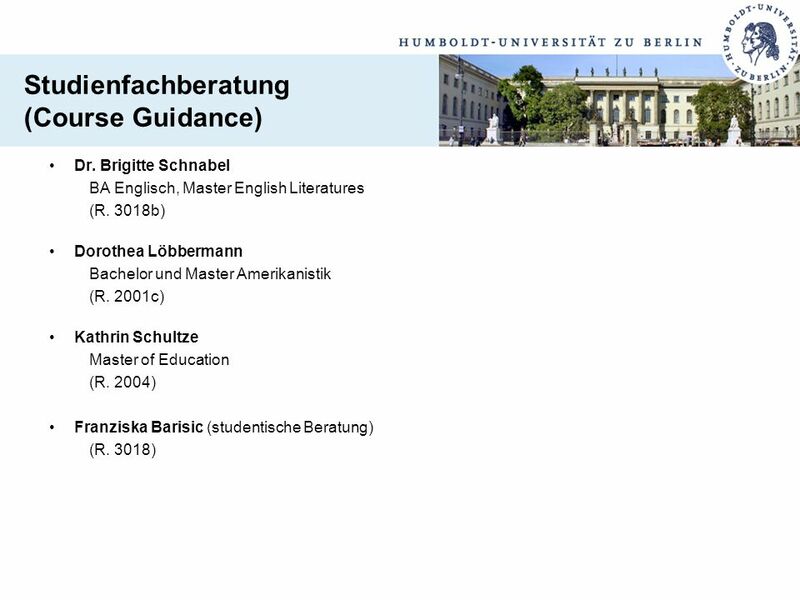 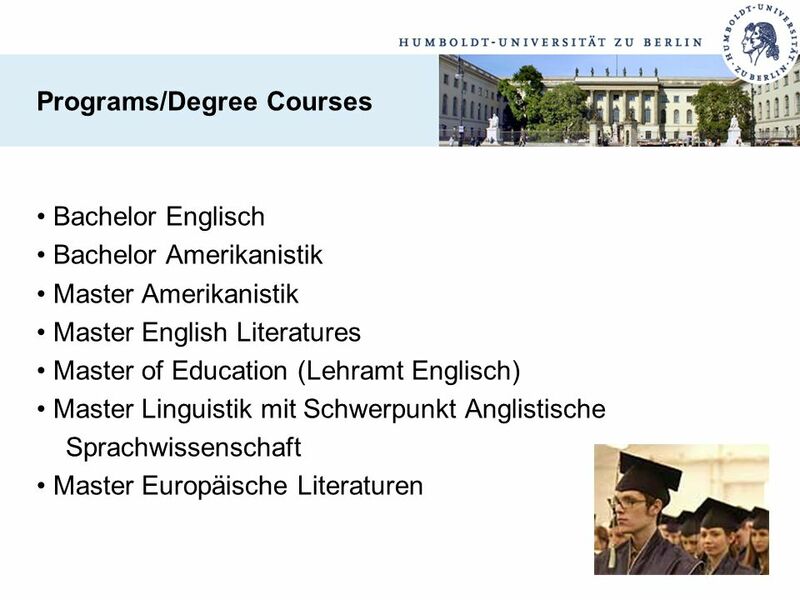 2 The Department of English and American Studies welcomes its new students to their first semester at the Humboldt University of Berlin. 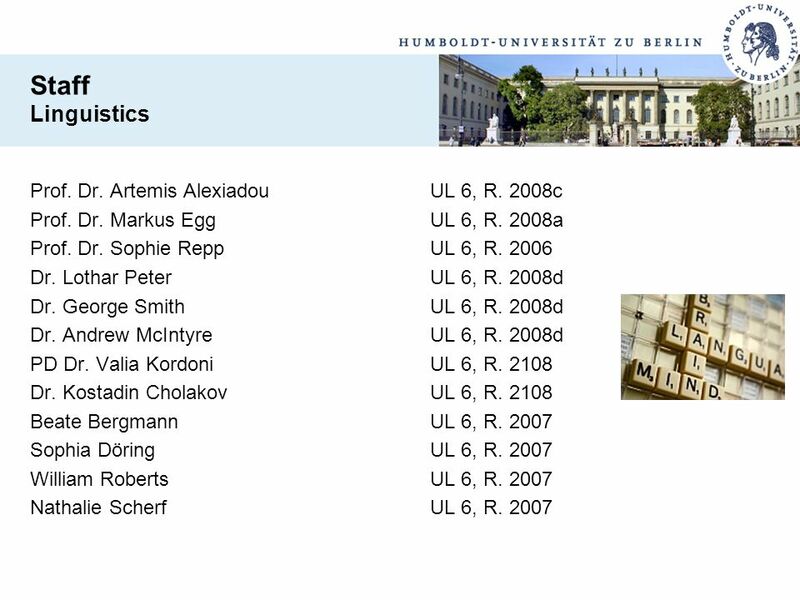 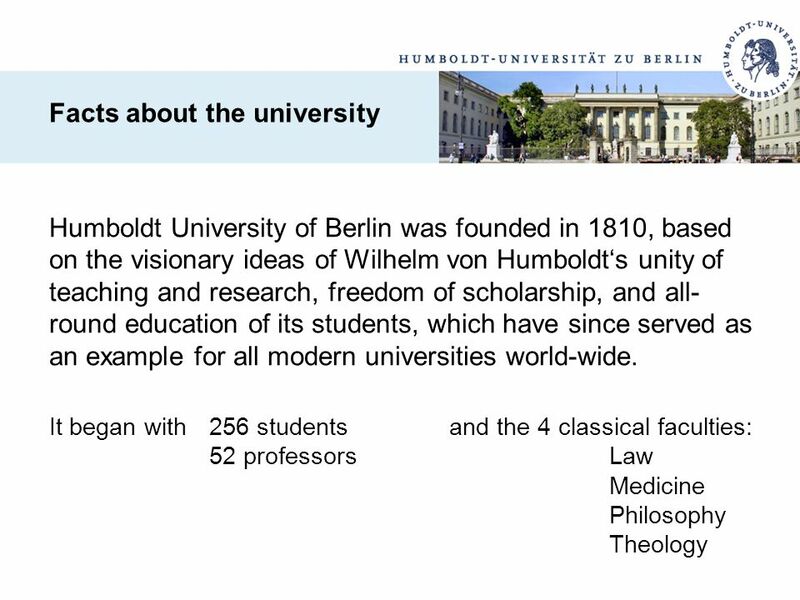 Today Humboldt University of Berlin is organized into eleven faculties, several central institutes and interdisciplinary centers. 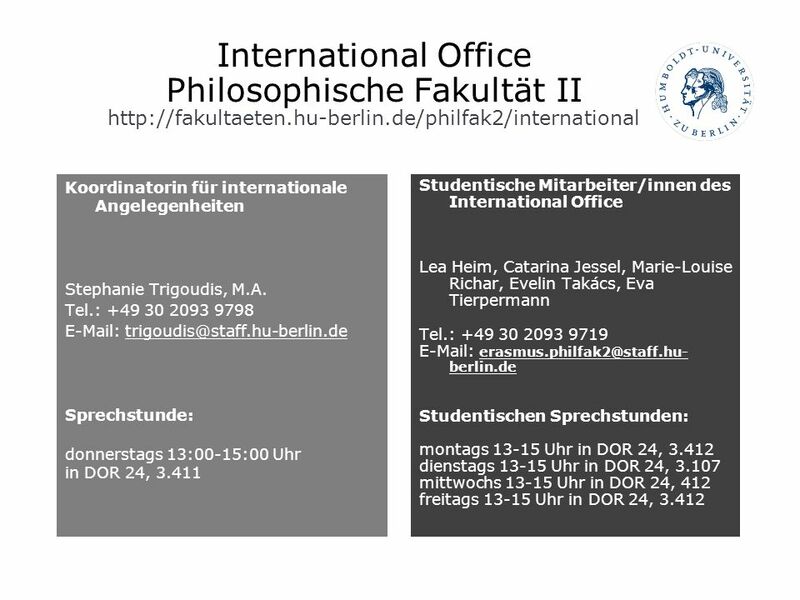 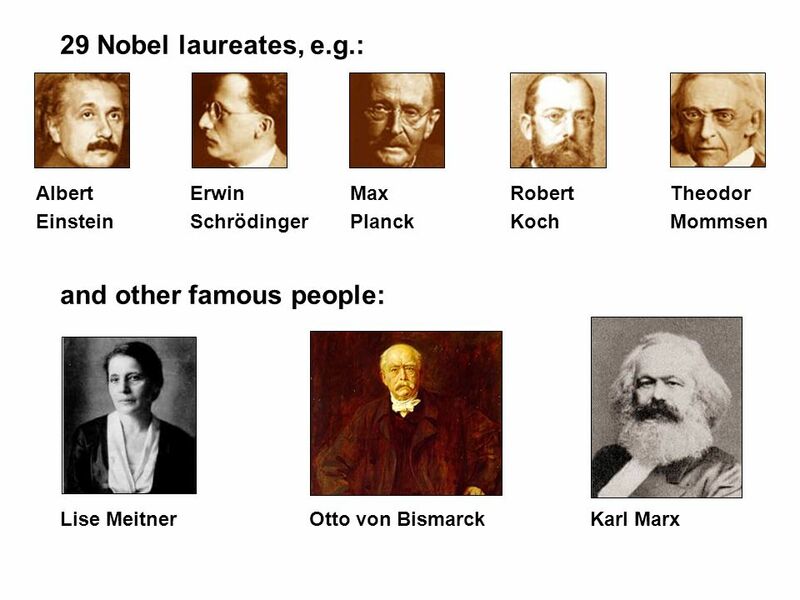 Our department belongs to Philosophische Fakultät II. 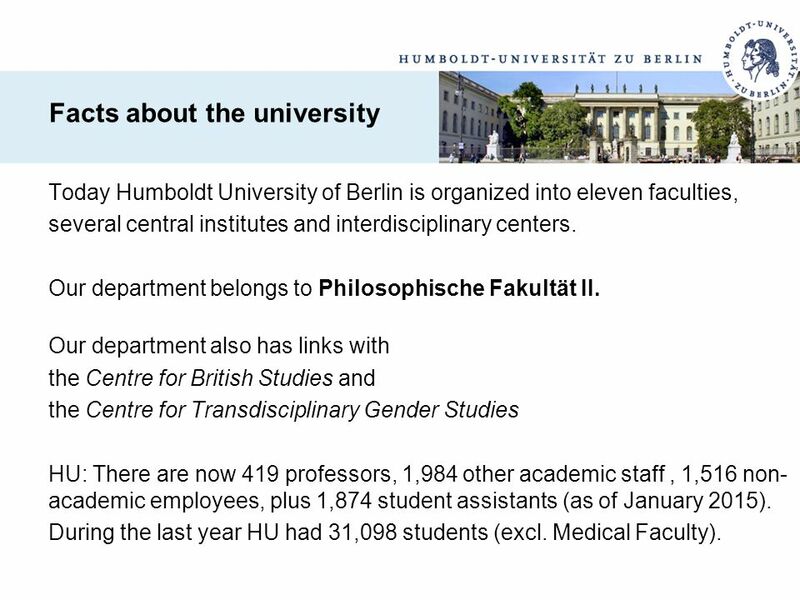 Our department also has links with the Centre for British Studies and the Centre for Transdisciplinary Gender Studies HU: There are now 419 professors, 1,984 other academic staff , 1,516 non-academic employees, plus 1,874 student assistants (as of January 2015). 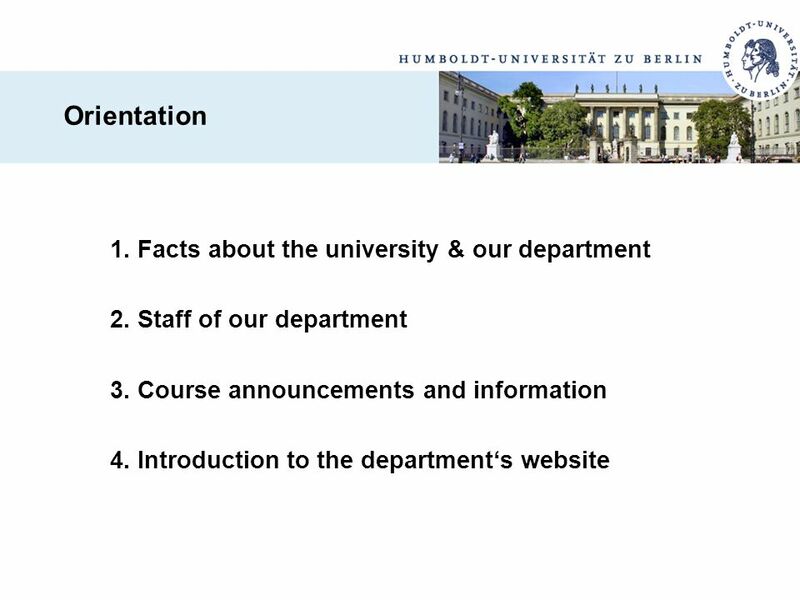 During the last year HU had 31,098 students (excl. 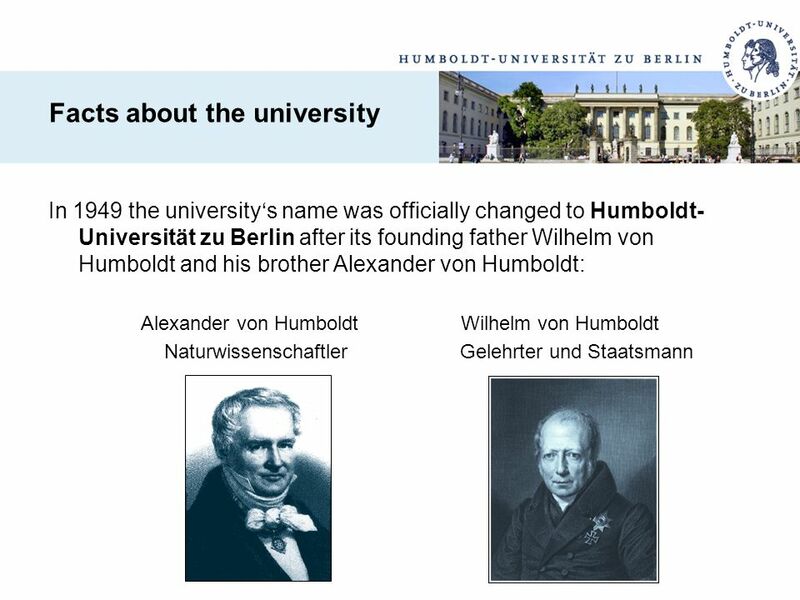 Medical Faculty). 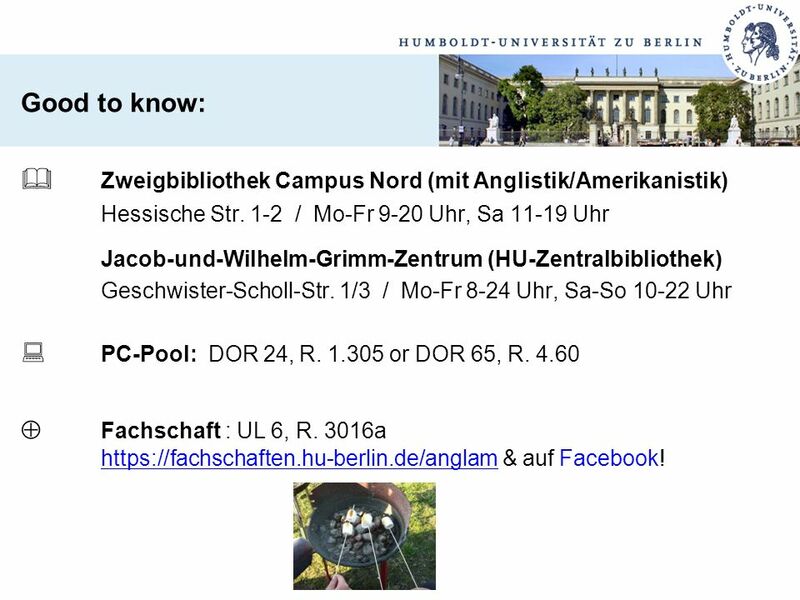 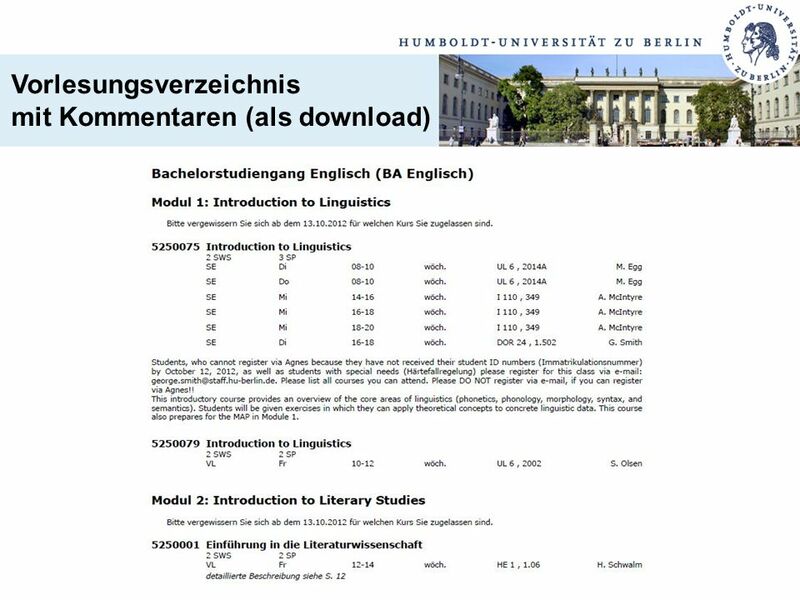 Good to know: 	Zweigbibliothek Campus Nord (mit Anglistik/Amerikanistik) Hessische Str / Mo-Fr 9-20 Uhr, Sa Uhr Jacob-und-Wilhelm-Grimm-Zentrum (HU-Zentralbibliothek) Geschwister-Scholl-Str. 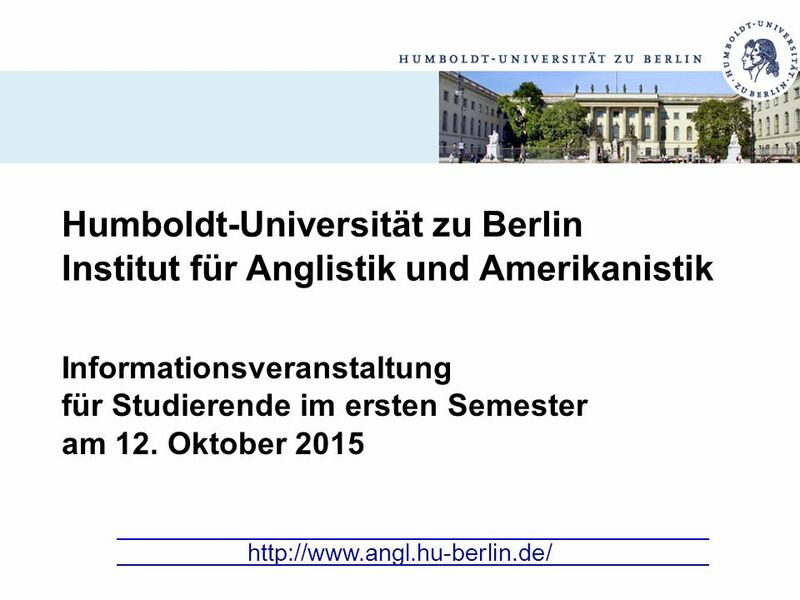 1/3 / Mo-Fr 8-24 Uhr, Sa-So Uhr 	PC-Pool: DOR 24, R or DOR 65, R. 4.60 	Fachschaft : UL 6, R. 3016a & auf Facebook! 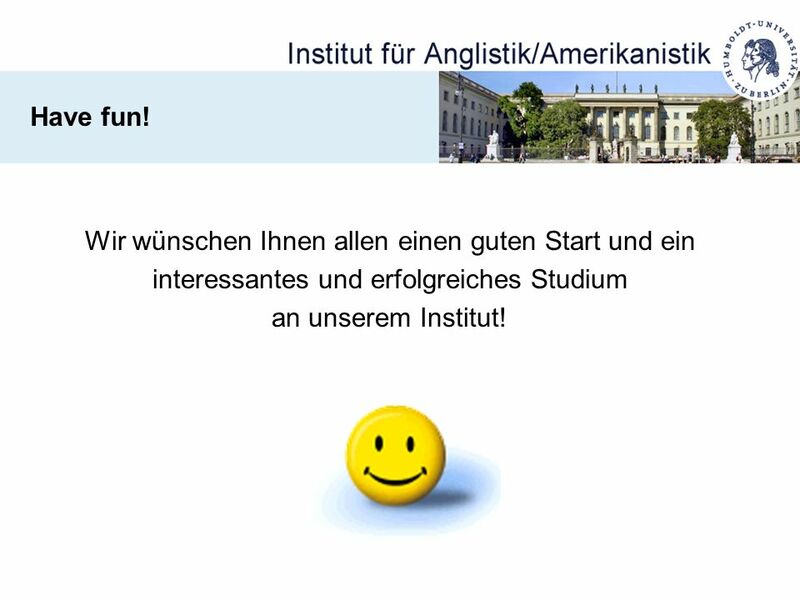 27 Have fun! 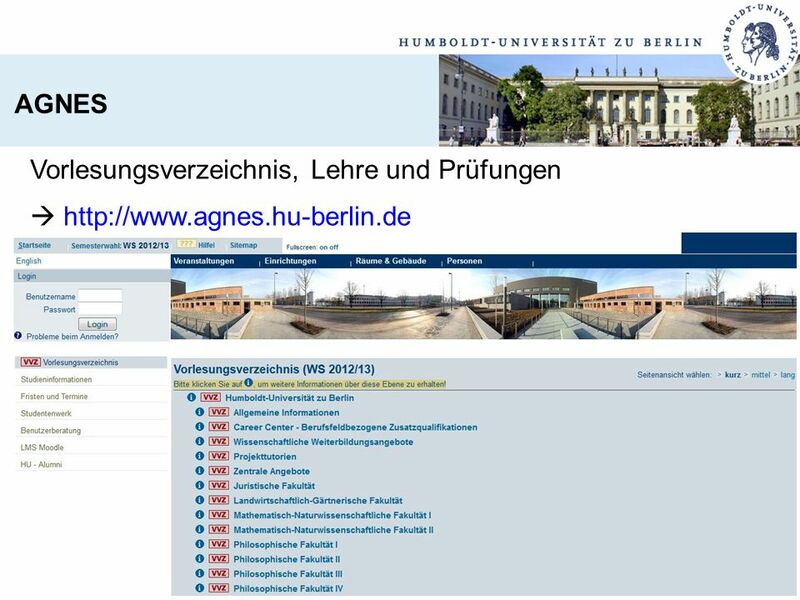 Wir wünschen Ihnen allen einen guten Start und ein interessantes und erfolgreiches Studium an unserem Institut! 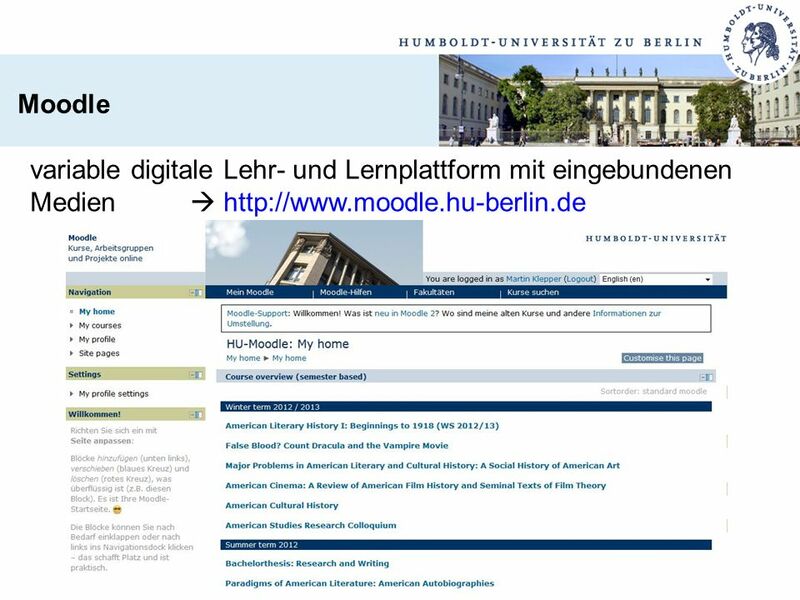 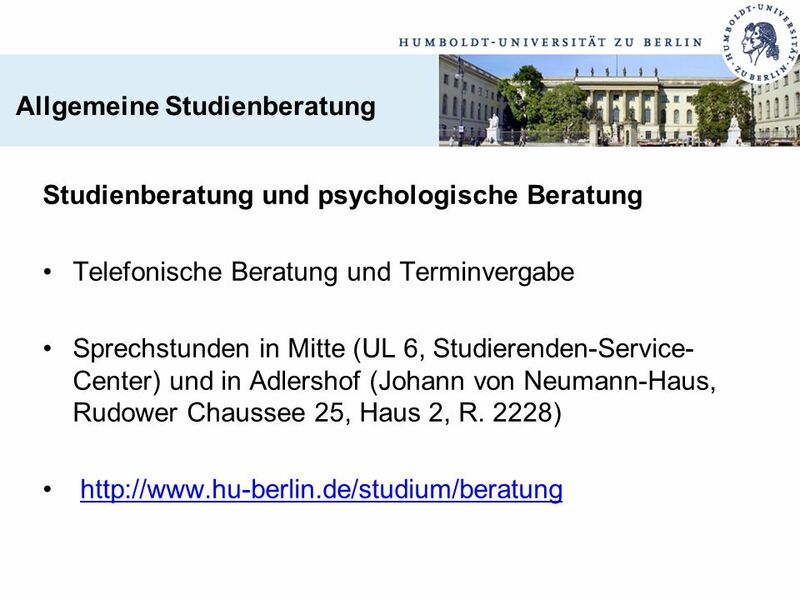 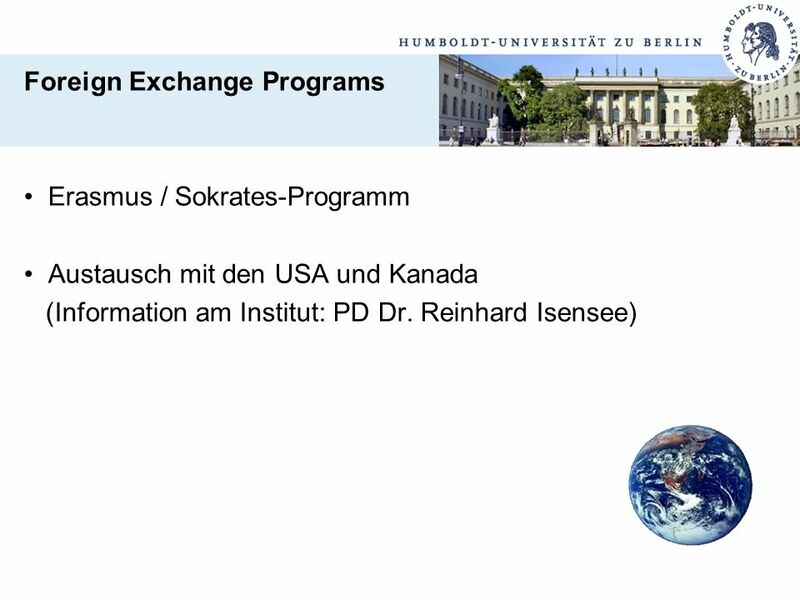 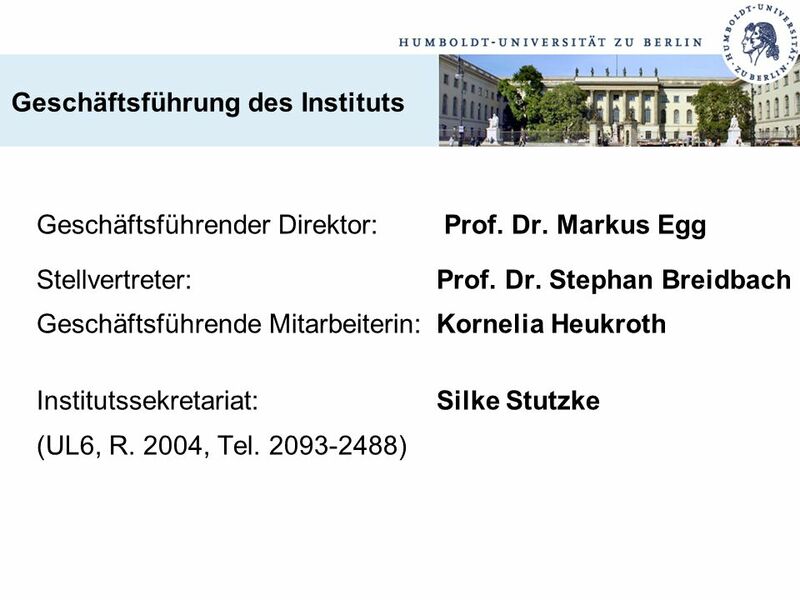 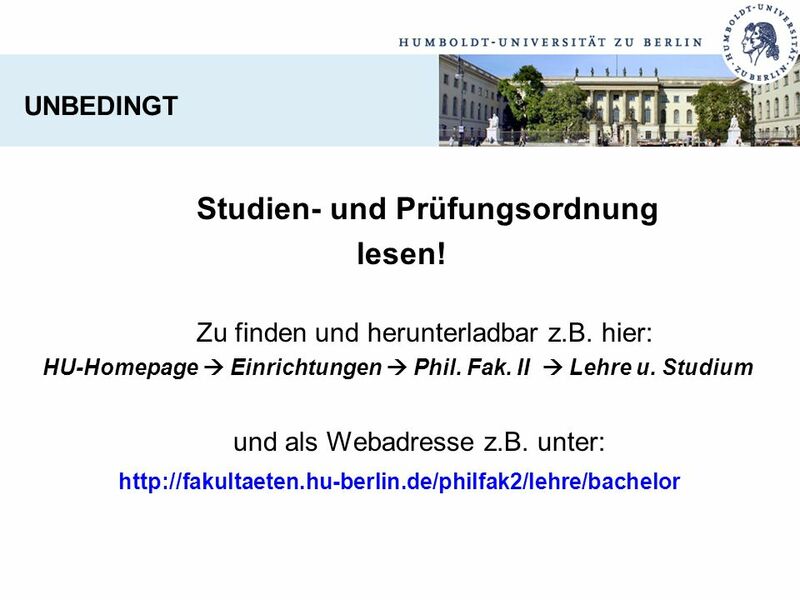 Herunterladen ppt "Humboldt-Universität zu Berlin"
Frage des Tages Vor meinem Prüfung war ich sehr __________.